This activity has been planned and implemented in accordance with the Essential Areas and policies of the Accreditation Council for Continuing Medical Education (ACCME) through the joint sponsorship of the AANS and the Minnesota State Neurosurgical Society. The AANS is accredited by the ACCME to provide continuing medical education for physicians. The AANS designates this live activity for a maximum of 10.75 AMA PRA Category 1 Credits™. Physicians should only claim credit commensurate with the extent of their participation in the activity. Meeting registration: To register, complete the attached registration form and return by mail or fax 507-284-5206. The registration fee includes tuition, syllabus, refreshments, and an evening reception. Although it is not the Minnesota Neurosurgical Society policy to limit the number of registrants for a meeting, conference room facilities may necessitate closing of enrollment; therefore, early registration is advised. If you cancel your participation in this meeting, your registration fee, less a $75 administrative fee, will be refunded when written notification is received by the Minnesota Neurosurgical Society before September 10, 2011 (fax#: 507-284-5206). No refunds will be made after Sept 10, 2011. The Minnesota State Neurosurgical Society and/or the AANS reserve the right to cancel or postpone any meeting due to unforeseen circumstances. In the unlikely event that this meeting must be canceled or postponed, the Minnesota Neurosurgical Society will refund the registration fee, but is not responsible for any related costs, charges, or expenses to participants, including fees assessed by airline/travel/lodging agencies. Centrally located between the Twin Cities and Rochester, the St. James Hotel is easy to find, yet comfortably out of the way. 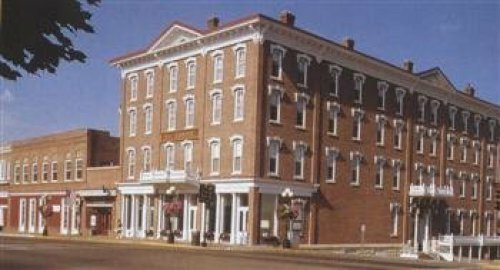 The St. James Hotel is located in historic Red Wing, MN on the Mississippi River. By car it is approximately 70 minutes southeast of the Twin Cities, 70 minutes north of Rochester and 3 ½ hours south of Duluth. Direction to the St. James Hotel from your location can be obtained on the St. James Hotel web site http://www.st-james-hotel.com. Guest rooms have been reserved for attendees and their guests with special meeting rates at the St. James Hotel. To book a hotel room for this meeting, call the St. James Hotel at 800-252-1875. Identify yourself as a participant of the Minnesota State Neurosurgical Society when making your reservation. Room rates do not include applicable city and state taxes. David J. Daniels, M.D., Ph.D.
Our fall meeting is approaching which will be held in Red Wing, Minnesota from September 16 – 18, 2011. Please submit topics for presentation by July 15th, 2011. We have had much success in the past in the quality and turn out of our meetings which are driven primarily by our membership participating as speakers in the scientific program. I would also like to especially invite our resident members to submit talks for our resident competition. We are excited to have Dr. James Bean as our keynote speaker for this event.